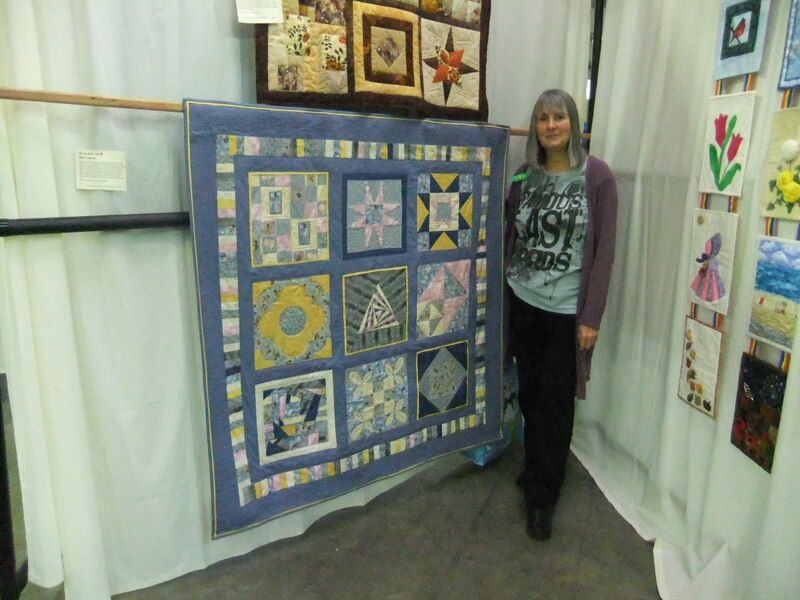 The finished quilt 'Well Travelled' hanging at the Great Northern Quilt Show in Harrogate. Surprisingly, it hung quite straight as I didn't have a floor big enough to spread it out before entering it! Thanks to H, the ace photographer for taking the photo!